The Best Canadian Dividend blogs from thousands of top Canadian Dividend blogs in our index using search and social metrics. Data will be refreshed once a week. About Blog One Guy's Journey to Freedom Through Passive Income. A Dividend Growth Investor. My name is Mike and I’m the author of The Dividend Guy Blog since 2010. I didn’t create this blog, I bought it because I loved it! Yes… I buy blogs amongst other things! Follow this blog to know about passive income through dividend investing. Facebook fans n/a. Twitter followers 5,578. Vancouver About Blog Dividend Growth Investing used to Retire With Dividend Income! A dividend blog focused on retiring with dividend income. Without a pension plan, I need to create my own income-generating wealth and be the best dividend investor I can be. Follow this blog to get information on dividend investing. Facebook fans n/a. Twitter followers 2,837. New Brunswick, Canada About Blog I am a French Canadian, New Brunswicker. On August 5th, 2009, I reach my goal, which was to have 50 000$ in investment assets. My larger goal is to reach financial freedom and, if not retired early, at least live happily with my money and be able to reach my objectives. It's all have to begin with a first 50 000$. Follow this blog to know about dividend investing, money and a bunch of other things. Ontario, Canada About Blog A Canadian blog. Tracking our progress on dividends and other passive income. I’m a 34yr old male loving life, happily married to my better half. We have a mini me and a dog living in Ontario Canada. We have been buying dividend stocks for just over a year now and placing them into our tfsa. Follow this blog to track our progress on dividends and other passive income. Facebook fans n/a. Twitter followers 285. Ontario, Canada About Blog My Journey of Dividend Investing & Improving My Finances. Hello everyone I am Matthew and thank you for checking out my blog. I am 33 years old and live in a small town in Ontario, Canada. Follow my blog as I share articles on all about dividends. Facebook fans n/a. Twitter followers 1,616. Canada About Blog This personal finance blog is home of the Canadian Dividend All-Star List. The website covers a variety of investing, personal finance and retirement topics, but most articles focus on attaining financial freedom through dividend growth investing. Follow this blog and get articles on dividend investing. Facebook fans 644. Twitter followers 439. 7. The Dividend Ninja - Invest In Dividend Stocks Like a Ninja. Vancouver, BC About Blog The Dividend Ninja is a Canadian blog about dividend stocks, and personal finance! The Dividend Ninja invests in blue-chip dividend stocks, that are most likely to increase their dividend payment year after year. Follow this blog to empower investors to ditch overpriced and underperforming mutual funds, and learn how to invest in Dividend Paying Stocks for themselves. Facebook fans 1,086. Twitter followers 3,553. Canada About Blog My goal is to reach $80,000 in annual dividends by 55, which leaves me with 19 years to buy cheap and keep. Follow this blog to get dividend updates. Montreal, Quebec About Blog I’m a self-taught investor and I invest in Canadian Dividend Income Stocks. I started to blog my investment journey to stay focused on my goals and to motivate as many people as possible to save and invest. Follow this blog as to get information on dividends stocks. 10. Passive Income Earner - Work hard. Spend less. Invest smart. Canada About Blog Hi, I’m the Passive Income Earner. I also go by other names, such as Canadian Dividend Growth Investor. I’m based in Canada and I’m on a journey to build a passive income with dividends. In this blog, I share my experience in personal finance and investing, including mistakes I made and lessons learned. Occasionally, I will also write about financial and investing concepts I learn. Follow this blog to know about my journey on passive income through dividends. About Blog Updates from my trip down the road of dividend investing in Canada. Because even gangsters need a little extra cheddar for their sandwiches. Follow this blog to get dividend investing ideas. 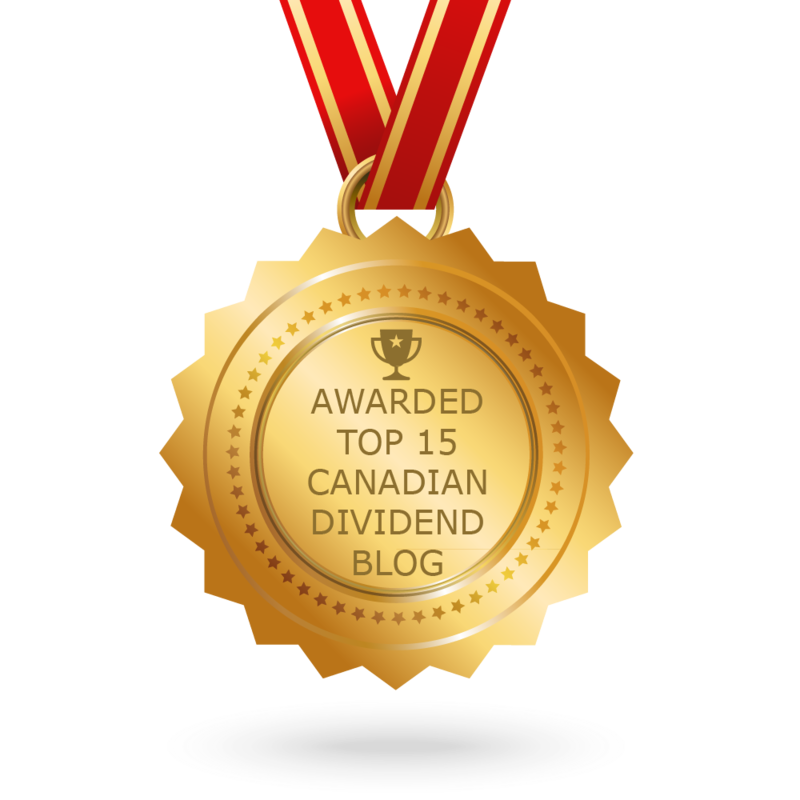 CONGRATULATIONS to every blogger that has made this Top Canadian Dividend Blogs list! This is the most comprehensive list of best Canadian Dividend blogs on the internet and I’m honoured to have you as part of this! I personally give you a high-five and want to thank you for your contribution to this world.